As of today, 23 panthers have died on Florida roads this year. In 2017, in total 28 panthers have died from all causes. In a population that faces hardships expanding in number and range, individuals matter. On November 15 I participated in a Transportation Sub-Team meeting as the conservation representative to Florida Panther Recovery Implementation Team and the liaison to its transportation sub-team. 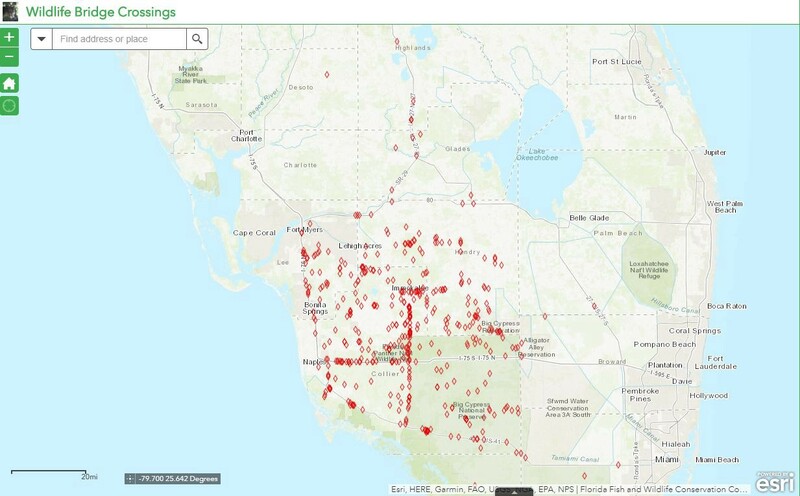 We presented a webinar to the Florida Panther Outreach Team on the Southwest Florida Hotspots map and materials we developed to help inform decision making and funding to improve safe passage across high mortality road segments in southwest Florida. FDOT has developed a new ArcGIS online website to provide a database of wildlife crossing structures and remote camera photos collected at each respective crossing. This page is open to the public and will be updated as new crossing structures are completed and as new photos are uploaded by various individuals, agencies and organizations that mange cameras for individual crossings. Work is ongoing to predict pathways panthers may take to cross roads north of the Caloosahatchee River. 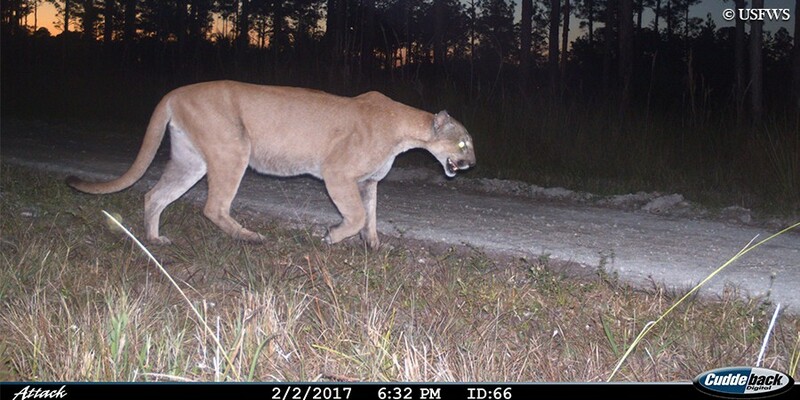 The individuals caught on camera traps north of the river have given conservationists hope that the population may expand into additional suitable habitat in Florida. The future management implications of this work will be to assist FDOT in identifying future crossing locations between the Caloosahatchee River and I-4.